Bringing cutting edge 3D technology to you. We've been in the game for a long time. Our applications and integrations bring you the best in ease-of-use, quality, and tooling. 3D scanning. Depth sensors & computer vision are our bread and butter. 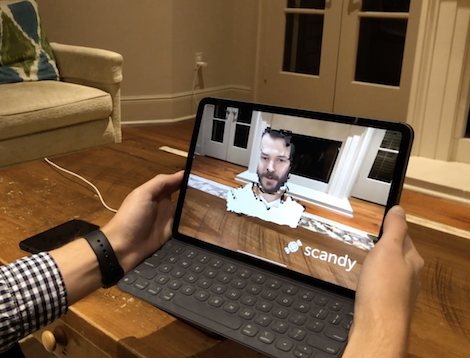 Create 3D scans with the Scandy Pro app for iOS or Android, or work with the Scandy team to develop a custom 3D scanning solution. Scandy can work with any depth sensor, and we also have a photogrammetry pipeline for applications that don't yet have access to a depth map. Harness the power of Scandy Core’s 3D scanning capabilities in your next project. Volumetric Video. The next big thing in content creation and consumption. If you thought the jump from paper to digital was groundbreaking - the jumps from 2D to 3D to 4D is next level. Wanna know more about our products and services?